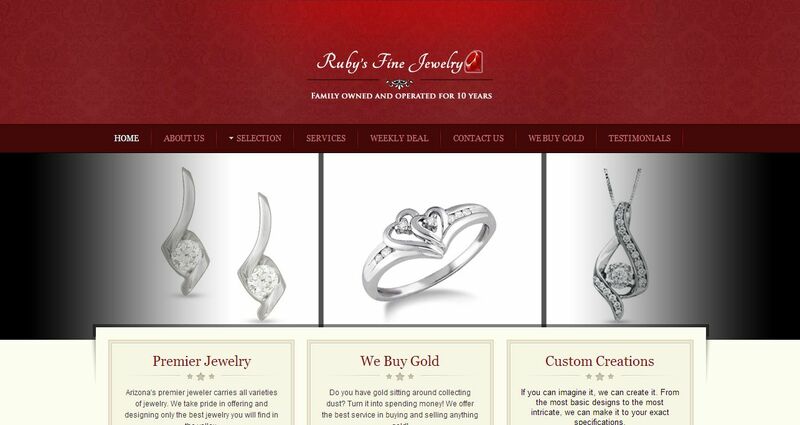 Ruby’s Fine Jewelry address, phone, website, hours of operation, and more. Ruby’s Fine Jewelry is a family owned business operating in the valley for 10 years. We are experienced purveyors of all types of jewelry. Ruby’s Fine Jewelry is Arizona’s premier jeweler that carries all varieties of jewelry. We offer and design only the best jewelry you will find in the valley. Do you ever see gold sitting around collecting dust at home? Make some cash for spending money! We offer the best service in buying and selling anything gold. You want to sell some old, broken or unwanted gold jewelry to raise much-needed cash but don’t know which gold buyer will really pay you the most, your search has ended. At Ruby’s you make more money for your gold, silver, platinum, diamonds and any other precious metals. Don’t know how much your scrap is worth? We will test the jewelry right in front of you for a free appraisal!